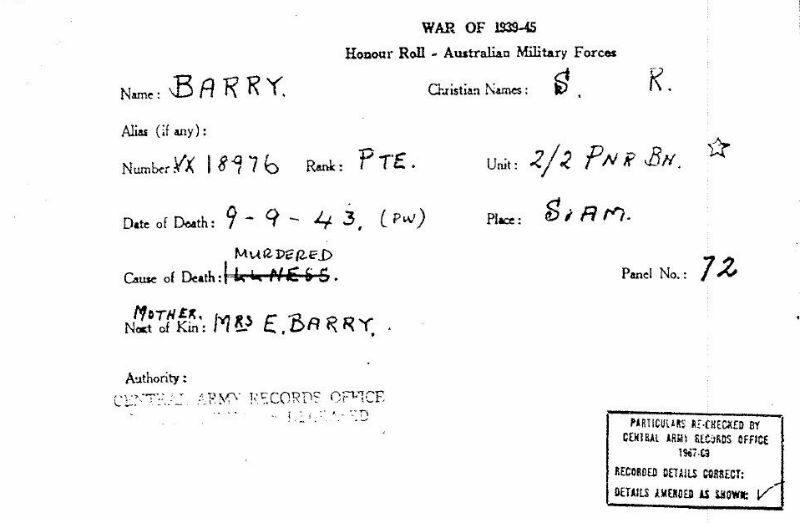 Army report of death internal notification. 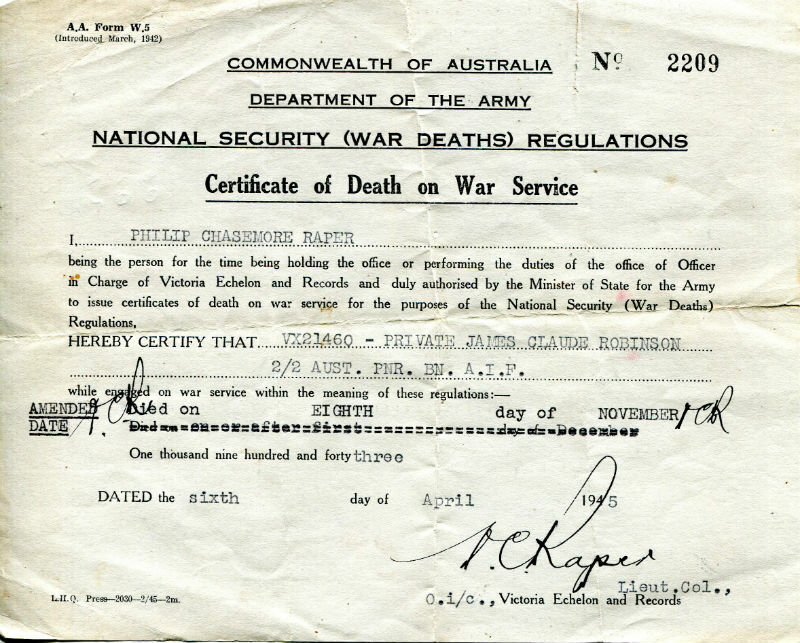 Army issued record of death certificate. 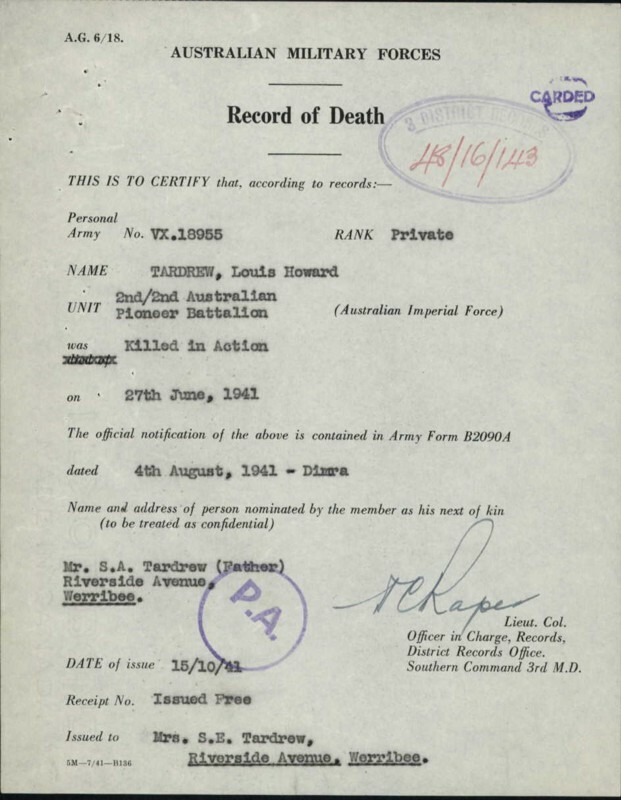 Variation of record of death certificate. 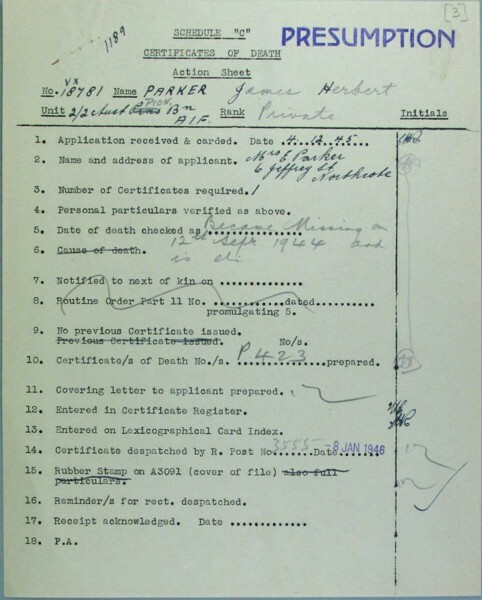 Presumption of death certificate action sheet. 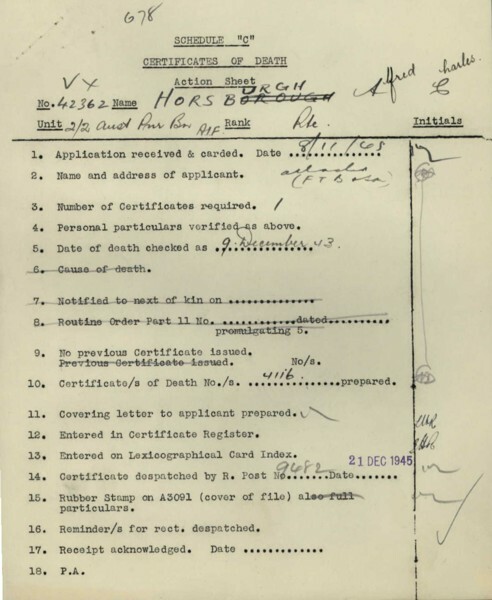 This 2/2 Pioneer became missing presumed drowned after the hellship Rakuyo Maru was torpedoed and sunk on 12/09/1944. 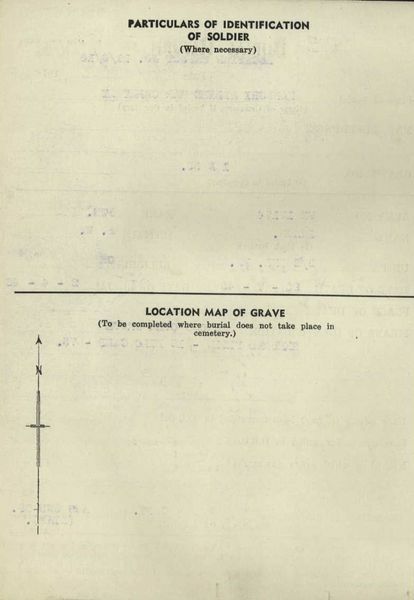 Variation of reburial report (page 1). 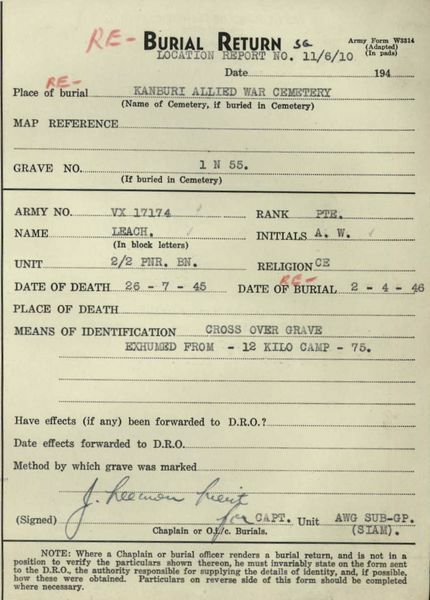 Variation of reburial report (page 2). 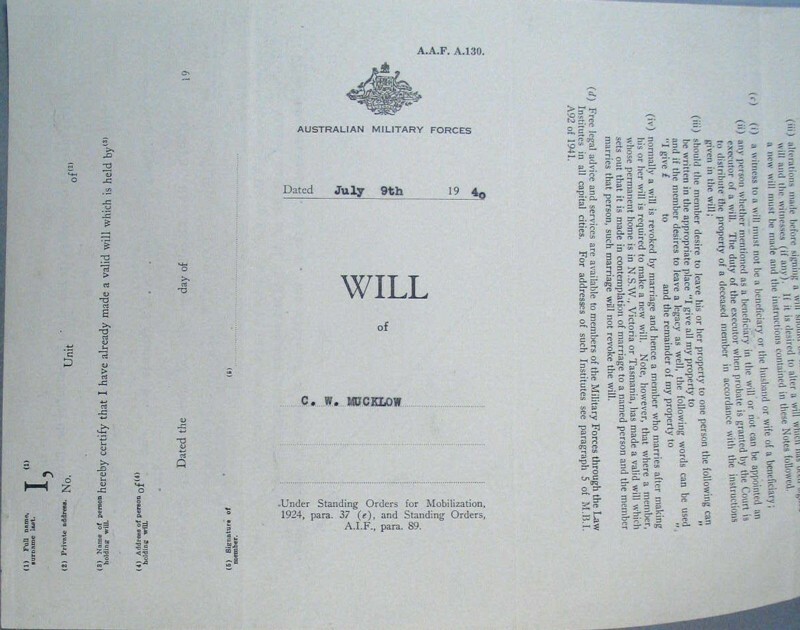 Front of an Army will. 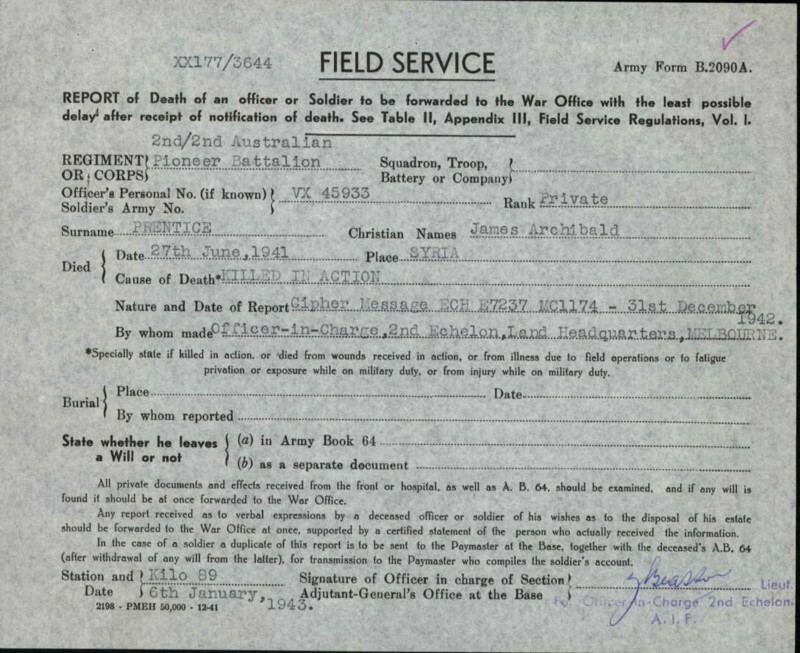 Every soldier had to fill one out when enlisting. 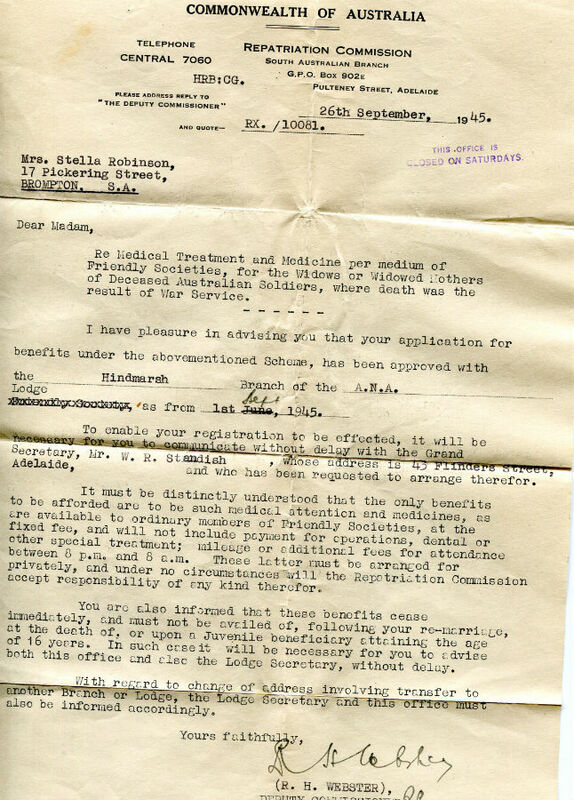 The Army held them in storage and issued them to the soldier upon discharge. 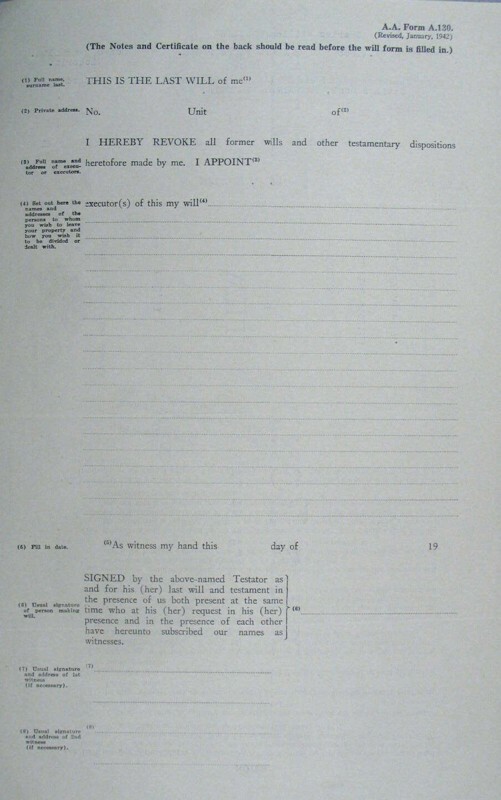 Blank inside of an Army will. 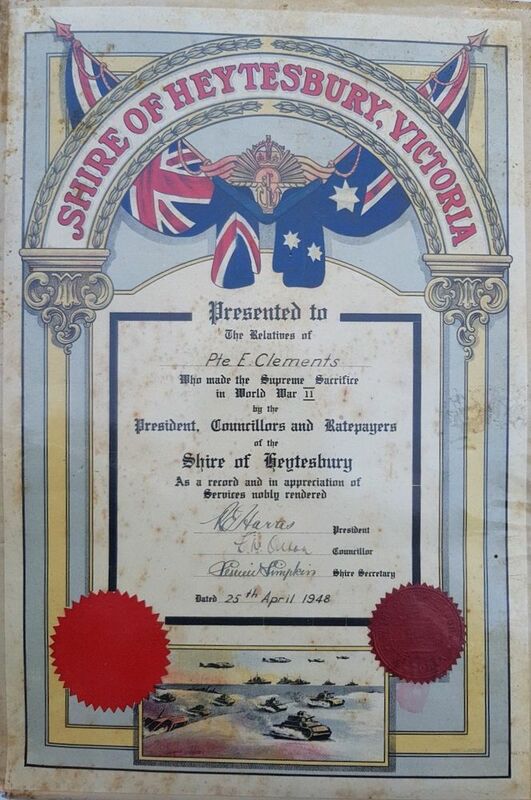 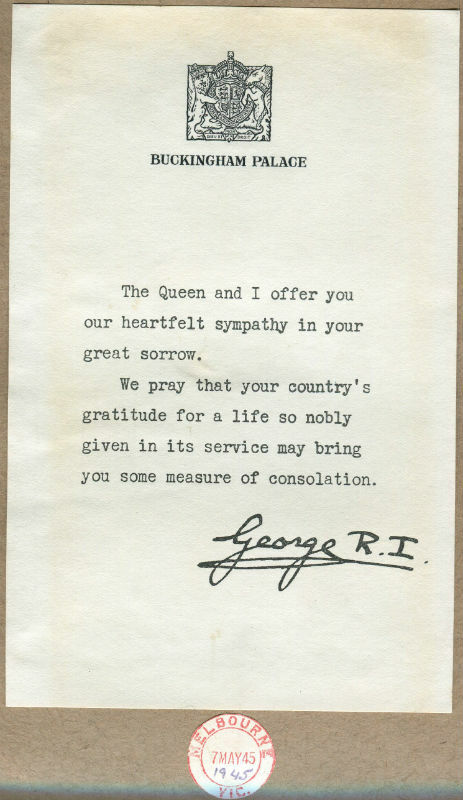 Commemorative scroll given to the family of Private Eric Garth Clements reads : Presented to the Relatives of Pte E. Clements who made the Supreme Sacrifice in World War II by the President, Councillors and Ratepayers of the Shire of Heytesbury as a record and in appreciation of Services nobly rendered. 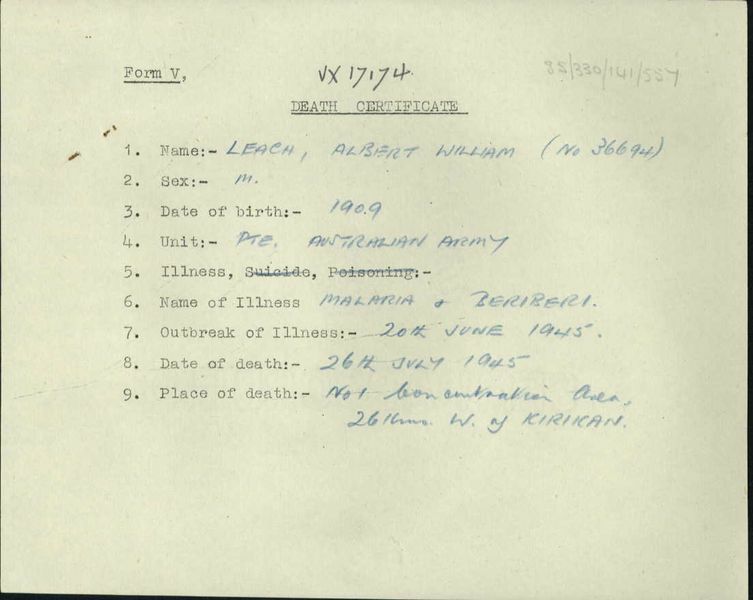 25/04/1948. 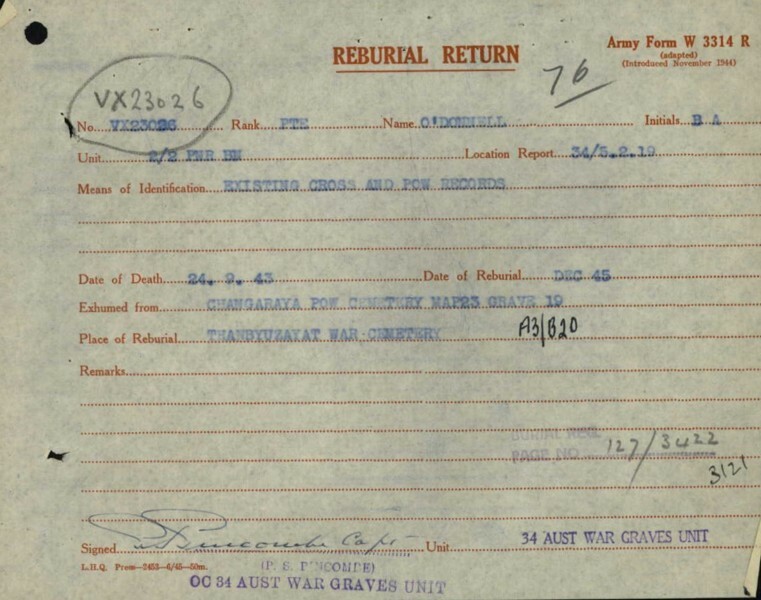 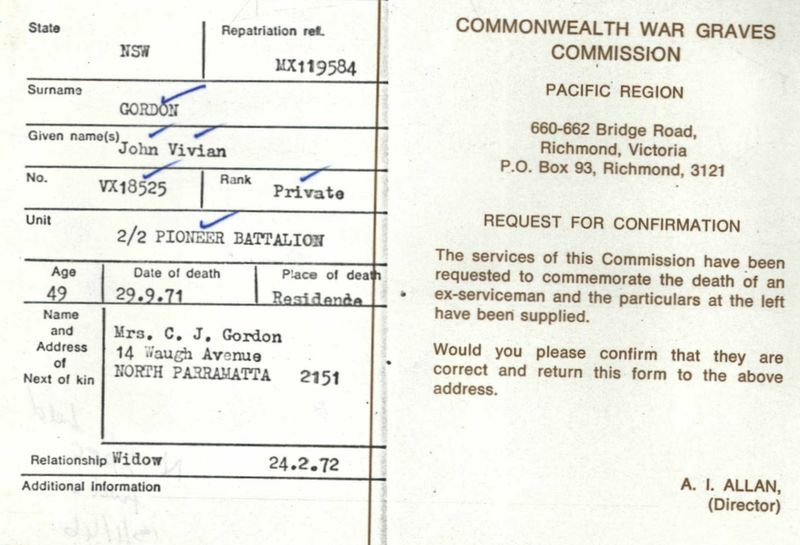 Commonwealth War Graves Commission request for confirmation.